You could fill a book with all the amorous shenanigans that went down in Ancient Rome (and plenty of people have); from Antony and Cleopatra to Messalina and [insert census of Rome here], scandalous stories and Roman aristocracy go together like lampreys and garum, and some of them are even true. The affair between the Emperor Hadrian and his Greek courtier Antinous is one of the most famous, a tragic romance that has inspired artists for almost 2000 years. 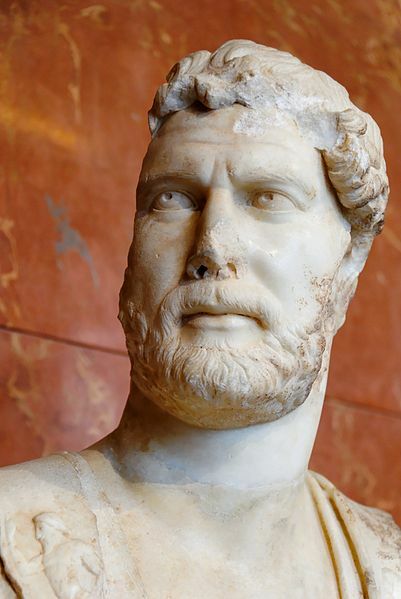 But this affair was not scandalous for the reason some might think — the scandal was not that Hadrian had a male lover, but that Hadrian actually loved him. Not much is known about Antinous beyond the fact that 1) he was an exceptionally beautiful Greek boy and 2) Hadrian fell head over heels in love with him. Now, the Emperor getting busy with a dude was not the problem — it was perfectly acceptable for a Roman man to have lovers of any gender, as long as he always gave the impression of being... designated pitcher, if you know what I mean. For eight years Hadrian lavished so much affection on Antinous that some considered it unmanly, or at least inappropriate; the real scandal, though, was that he didn't bother to keep up appearances with his wife, and he never had any children. Now that was a big deal. Having a boyfriend was one thing; neglecting your Roman duty of procreation was another, especially when you need a royal heir. Hadrian's attitude was basically osores odierint, and since he was doing a good job running the Empire, a lot of people pretended to overlook his devotion to his paramour (in public anyway). What they could not overlook was how Hadrian reacted to Antinous' untimely death. In 130 AD, while traveling down the Nile with Hadrian, Antinous fell overboard and drowned. (Whether it was an accident, murder, or ritual suicide is a mystery, but that's a different post). Hadrian was devastated. His grief soon became more of a scandal than the affair itself — he was said to have "wept like a woman", and Dio wrote that he was "ridiculed" for his excessive mourning. He founded a city at the place where Antinous died, had countless sculptures made of him, wrote poems in his honor, and took the unprecedented step of having him deified, something reserved for wives and relatives. 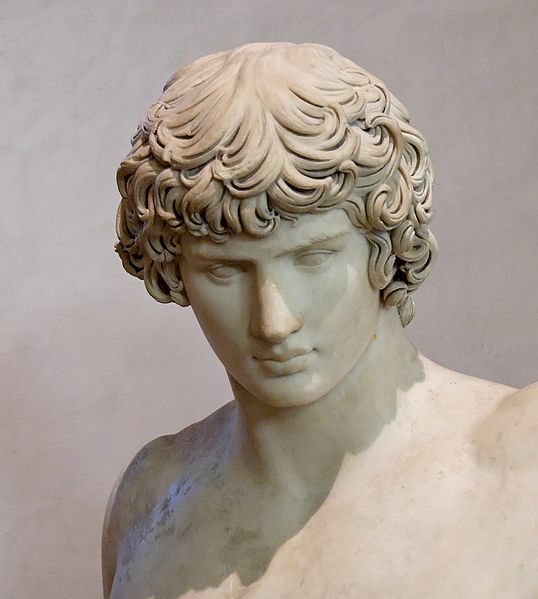 The cult of Antinous became popular throughout the Empire, the last great cult of Roman antiquity. Thus he became a target for some early Christian writers as the embodiment of Pagan debauchery, "the shameless instrument of his master's lust" — but even St. Jerome referred to Antinous as "the love of Hadrian's heart". Hadrian never recovered from Antinous' death. He retreated to one of his villas, surrounded by statues of his lost love, and died eight years later. He is remembered by history as a successful Emperor with one scandalous affair, while over the centuries Antinous has become a symbol of forbidden love and tragic sacrifice. He has inspired stories, songs, art, and even has his own online society. Google his name and you'll find archives of fiction about him, perfumes and candles named after him, and instructions on how to add him to your personal pantheon. How many other royal scandals ended up creating a religion? Heather Domin is the author of The Soldier of Raetia, set in Augustan Rome, and Allegiance, set in 1922 Dublin. Her next two novels are due in 2013. 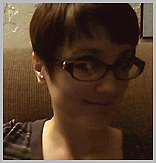 She's been a reviewing member of the Historical Novel Society since 2007 and a contributor at Unusual Historicals since 2011.